As a community owned theater, the Panida depends on the participation of all kinds of people with all kinds of support. While financial assistance is very important to the theater one element of support that is just as important as money is time: the time people give to the Panida. We would be lost were it not for the Friends of The Panida. An informal group, the Friends of the Panida are dedicated to the theater. Their time is spent volunteering during events at the theater and in the community at special fund raising projects. Volunteers help with ticket sales, ticket taking, concessions, and ushering for events presented by the Panida. In addition to the Panida-produced events the theater is frequently rented by other community organizations, such as POAC and the Unicorn Theater, which require volunteers in a similar capacity. Visiting performing artists use the Panida as a venue and volunteers are, of course, needed! Download The Events Scheduling Form. Please complete this and return to panidatheater@panida.org. We will contact you with any questions and/or prepare a contract draft. With the agreement of the contract, we will ask for a deposit to hold the dates/times that you request. If you are a non-profit organization, we require a copy of your current 501(c) 3 status if we don’t have it on file. Additionally, a copy of your liability policy listing the Panida as additional insured will need to accompany the contract. Please note: A “Rental Day” consists of one performance between the hours of 8 AM and 1 PM OR one performance between 3 PM and 10 PM unless otherwise contracted. Full day rates are available upon request. The fees are dependent upon various factors including equipment requirements, the degree of technical and promotional support required, day of the week and your non-profit status. Please note if you will need additional items such as the use of our grand piano, our dance flooring, microphones, etc. We will include on the contract a specific “set up/rehearsal” time/schedule depending upon your requirements. Our concessions and beer and wine service are available for each rental. Please let us know if you have any questions or specific requests related to this service. No outside food or beverages are allowed. Our lighting and sound are contracted separately for specific events. You can contact: Dave Nygren – 208 255-6210 for Theatrical lighting and we can offer recommendations for sound. Please let us know if you have additional requirements we may not be aware of. FEES FOR UNIQUE OR OUT OF THE ORDINARY REQUESTS ARE DETERMINED ON AN INDIVIDUAL BASISFor some large events, we may include in the contract fees for additional cleaning, dumpster costs and security. Additional security can be contracted through outside security agencies. Please complete the online form. The Panida Theater currently provides General Admission Seating. 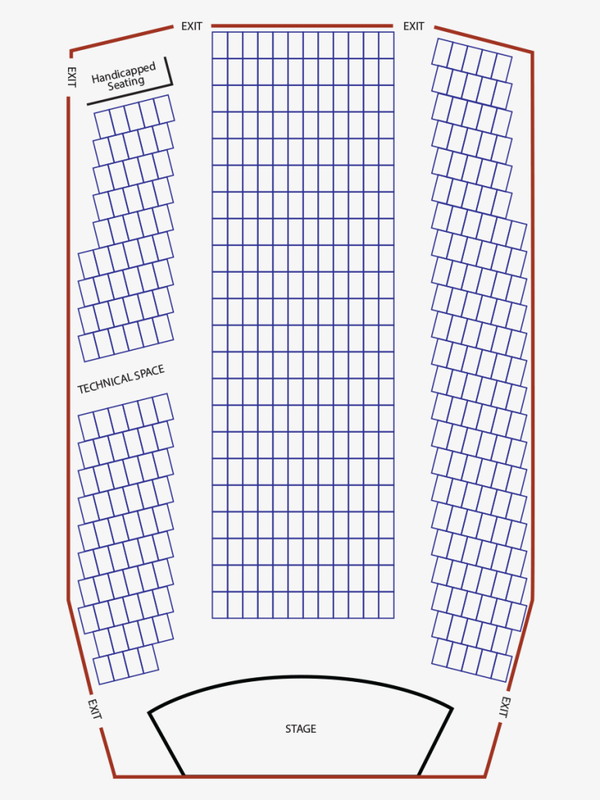 Seats are provided on a first come / first serve basis, with the exception of VIP seating available at some events. "Inspiring cultural enrichment, education and entertainment through the arts, for all generations."